1. Stock market is traded on his all time highs and at this time new investor fear to make a new SIP in mutual fund. 2. Many of my friends & co-workers ask me that " It is safe to make a new SIP in this time? 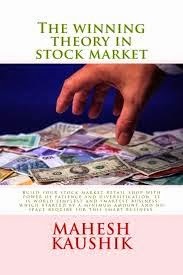 As I always recommended that you must continue make fresh investments in smart stocks or mutual funds in any market condition ( In my book I already describe that how to choose a smart stock for long term or Indian investor may get help from my website www.maheshkaushik.com ). 4. For this purpose I Choose " HDFC TOP 200 (G) " as an Example fund to explain you my formula of smart SIP. 5. Suppose you we want to invest 5000 per month in this fund. 6. Ok first month invest whole 5000 in currant NAV . 11. This formula is automatic reduce your SIP amount when market is up and automatic increase your SIP amount when market is down. 12. So this Smart SIP is beaten down any classical SIP where SIP amount is always constant in any market condition. 13. OK at last i tell you reply of one interesting question , when I tell this formula in one investor meeting then a investor ask me what happen if we are in 100 % profit? Will we close this smart SIP after 100 % profit? because as per this formula after 100% profit fresh investment amount is 0. In reply of this question I tell " please do not forget our formula of profit booking in a mutual fund SIP, Run both formula on your investments and Partially book profits in your SIP when your profit is up to 11 %". I can not understand your Smart SIP calculation for 3rd month onwards, can you please explain briefly. here I have to see only 2nd month profit/loss or overall investment. 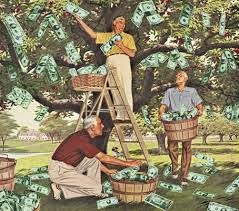 Equity Mutual Funds That Pay Monthly Dividends: How to Grow Your Money Tree. Sharegenius Method of Profit Booking in Mutual Fund SIP. Why Mutual Fund Growth Option Is Better Than Dividend Reinvestment Option? Mutual fund investments are subject to market risk read offer documents carefully and consult your investment adviser before investing. Author is not a registered mutual fund adviser and does not give mutual fund or stock investment advice. Author is also an investor and mostly invests in same line which discuss here. Subject to pindwara (India) jurisdiction only. Mutual Fund Returns are Annualized or Absolute?